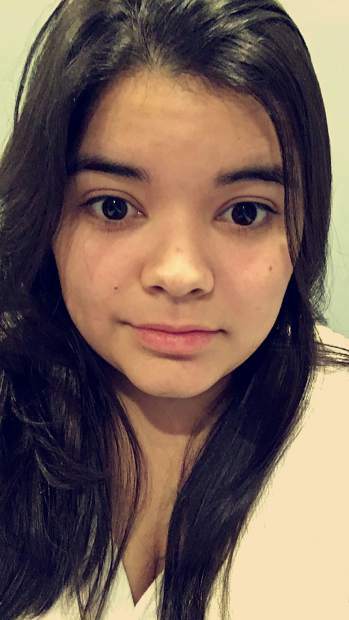 Isabella Rivas Discua came to the U.S. five years ago and attended Colorado Mountain College. What: Fleeing Home: The Refugee Experience in the United States with Hardin Lang, Abdi Nor Iftin and Isabella Rivas Discua. When: Tonight. Doors open at 5:30 p.m.; program from 6 to 7:30 p.m. Cost: Tickets are $25 prior to midnight on the day before the program; tickets are $35 after midnight and at the door. There are a lot of terms used in relation to the conversation on immigration and citizenship in the United States: refugee; immigrant; migrant; Dreamer. Tonight at Vail Interfaith Chapel, the Vail Symposium will discuss one of these terms and give both an overview of the issue and hear first-hand experiences of refugees within our country and our community. A refugee is a person who has fled their country due to fear of, or actual, persecution and violence due to their race, religion, nationality, membership in a particular social group or political opinion. Refugees, also called displaced persons, are unable to return to their country because the adverse conditions that prompted their flight have yet to be resolved. The 1951 Convention Relating to the Status of Refugees defined the term and the responsibilities of nations to grant asylum to those rendered stateless due to warfare, famine or natural disasters. Globally, there are nearly 70 million displaced persons. Lang will provide an overview to understand the issues that refugees face in their own countries, describe their path to reach a country that will accept them, their experience after arriving in the accepting country and the process to become integrated. Iftin and Discua will join Lang for this presentation, describing their unique journeys and those of their peer groups in coming to the United States, both their struggles and experiences. Lang is vice president for programs and policy at Refugees International. He is a veteran of six United Nations peacekeeping and humanitarian field missions. During his UN tenure, Hardin helped launch the UN stabilization in Mali, served as head of office for the UN special envoy for Haiti and worked on the UN mission in Afghanistan. Immediately prior to joining Refugees International, Hardin was a senior fellow at the Center for American Progress where he specialized in Middle East conflicts and national security policy. He has also been a senior fellow at the Center for Strategic and International Studies. Iftin currently lives in Portland, Maine, where he works as an interpreter for Somalis who have immigrated to the state. Abdi was recently accepted to the University of Southern Maine where he will be studying political science. His memoir, “Call Me American” was published in 2018 by Penguin Random House. It is the incredible true story of a boy living in war-torn Somalia who escapes to America–first by way of the movies and, years later, through a miraculous green card. Isabella Rivas Discua is an F-1 Immigrant, also known as an international student, from La Ceiba, Honduras. She arrived in the United States five years ago, midwinter, to attain her Bachelors in Education at the Colorado Mountain College in the Vail Valley. She left behind her culture, family and life when she was 18 and has only been back in her home country twice. She has completed her Bachelors in Education with an endorsement in culturally and linguistically diverse students and is pursuing an additional endorsement for bilingual education at the same college. It is her goal to work in Eagle County Schools as a classroom teacher and continue working on her own education.